Like all good travel sites, at Best Car Hire we compare car hire Madrid Airport to find cheap car rental Madrid Airport Spain and ensure that you avoid over-the-top fees to find an affordable car at the best price - so you save money to spend on other holiday treats and hit the road to explore your holiday destination on the Spanish mainland as soon as possible! What Car Hire Company is at Madrid Airport ? The following international car rental companies can be found at Madrid Airport :- Avis, Budget, Centauro, Europcar, Firefly, Goldcar, Hertz, Interrent, Keddy By Europcar, Nomadcar, Ok Rent A Car, Rhodium, Sixt and Thrifty. Which are my Options for Standard Car Hire Madrid Airport ? Choose from a selection of diesel or petrol, standard or economy, saloon, estate or hatchback, with or without air conditioning, long or short term rental, automatic or manual transmission, one way rental or return and with limited or unlimited mileage. Nissan Micra, Fiat Linea, Volkswagen Polo, Seat Leon Estate, Seat Leon, Fiat 500, Volkswagen Golf, Volkswagen Golf Estate , Mini Cooper, Ford Fiesta, Ford Focus, Ford Fiesta, Fiat 500 Convertible, Nissan Juke, Seat Toledo, Volkswagen Up, Opel Corsa, Peugot 208, Peugeot 308, Seat Toledo, Opel Astra, Smart Fortwo, Smart Forfour, Ford Focus Estate, Mercedes C Class, Citroen C4 Cactus, BMW i3 Electric, Toyota Aygo, BMW 1 Series, BMW 3 Series, Audi A3, Toyota Aygo, Mini One, Audi A4, Mini Cooper S Convertible, Mercedes E Class, Audi A3 Convertible, Opel Insignia, Peugeot 508 and the BMW 4 Series Convertible. Most holidaymakers who rent an SUV Madrid Airport (Sports Utility Vehicle), benefit from its ability to carry more people than your average car, more cost-effective fuel consumption, safer due to their more robust chassis, more comfortable driving off-road on rough terrain due to their extremely efficient suspension and additional hill climbing control due to front-wheel or four-wheel drive (4WD) - which come in handy for the tough terrain. When renting an SUV Madrid Airport to transport the family around, the fleet of cars for hire are : - Nissan Qashqai, BMW X1, BMW X3, Range Rover Sport, Range Rover Evoque and Mercedes GLE. Can I Book a Minivan or People Carrier Madrid Airport ? A minivan or people carrier is the best economical choice of vehicles for all those occasions where you need to transport multiple groups of people such as wedding celebrations, honeymoon perhaps, wedding anniversary, children’s parties, a hen party, stag parties or a sporting event package. If you are arriving at Madrid Airport and your group of friends on vacation want to hire a people carrier or a minivan to travel to your luxury holiday villa or to have a fun golf outing at one of the many golf courses in Spain, we recommend that you book the best MPV at least two months in advance. As such, you will find that the availability of rentals cars at Madrid Airport will be easier and you will get cheaper people carrier rental rates. The summer time, Christmas and Easter holidays are our busiest times for MPV (Multi Purpose Vehicle) or people carrier hire Madrid Airport bookings, so it is best to book early and plan your car hire accordingly. We find that travellers benefit from a people-carrier hire Madrid Airport especially when they need a car rental, be it a 6 seater, 7 seater, 8 seater or even 9 seater vehicle for their road trip around Spain. With flexible seating arrangements (backseats can be easily removed to provide more luggage storage) and all-round visibility (most vehicles have a sunroof), all our people carriers or mini-vans come with refreshing air conditioning (AC), so you will remain cool and comfortable even with a load of passengers travelling in the minibus. Which Convertible Car Hire Madrid Airport Choices Are There ? Most people will choose convertible car rental Madrid Airport because of the freedom this style of vehicle offers. There is nothing more exciting than feeling the warm Mediterranean sun beating down on your body while taking in the sights the sounds and the fragrances of the Spanish countryside and coastal region, while you drive to your holiday villa or luxury hotel destination. Your best choice for a convertible car hire Madrid Airport would be the Opel Cascada, Fiat 500 Convertible, Audi A3 Convertible, Mini Cooper S Convertible or the BMW 4 Series Convertible. Can I Book a Luxury Car Hire Madrid Airport ? Add a little sparkle to your summer holiday by pre-booking online one of the luxury cars available at Madrid Airport. Your best choice for a luxury car rental Madrid Airport is a Bentley Continental GT SS Convertible, Range Rover Sport, or a Ferrari California. All Madrid car rentals are subject to availability. What Documentation Do I Require for Madrid Airport Car Rentals ? To help you rent a car at Madrid, we have prepared a car hire travel checklist for your cheap car rentals Madrid reservation - but to avoid a headache if you don't plan properly, you will require a valid credit card, a valid photo ID (passport or national ID), driver's licence valid for 2 years and a printed version of the car rental voucher. Depending on the Brexit outcome (please see below), you may also require an International Driving Permit (IDP). If you do not present any of the documents mentioned, the documentation is not valid or you do not have enough funds on your credit card, the car rental agent may refuse to release the vehicle and no funds will be reimbursed to you. As with any car hire deals, although we can supply you with details of cheap car rentals in Madrid Airport, just remember that the cheapest car hire Madrid Airport may not be the best value for money, so it is wise to consider all the options when confirming your car hire booking. The major change is that travellers will need at least 6 months left on their UK passport from their date of arrival at their destination (Madrid, Spain), however this only affects travel to certain countries. Will I Need a Visa for Travel to Madrid Airport after Brexit ? 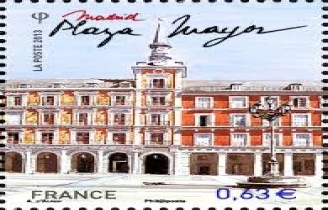 Madrid is the capital city of Spain and lies on the River Manzanares with over 3.3 million inhabitants. Madrid has famous landmarks including the Royal Palace of Madrid, the Royal Theatre, the Buen Retiro Park, National Library and the Cibeles Palace and Fountain. The currency used in Madrid is the Euro. For up to date exchange rates please visit our currency calculator on the BestCarhire.com Home page. Alternatively you may book your international car hire at Murcia, Gran Canaria, Alicante, Ibiza, Tenerife, Majorca, Malaga or other major airports and world-wide car rental locations. On-street parking in Madrid. Paid parking applies to the centre of Madrid in the blue zones on Monday-Friday from 09:00-20:00 and Saturday from 09:00-15:00. In August on Monday-Saturday from 09.00-15.00 hours only. Maximum stay is 2 hours, parking rate 1 hour € 1.15, 2 hours € 2,70.